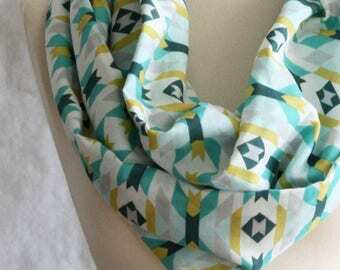 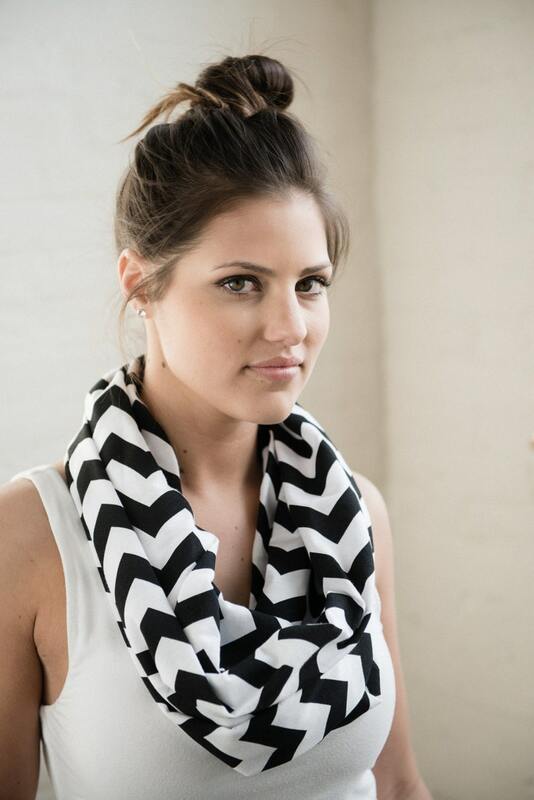 Don't be caught without a chevron scarf in your closet this season! 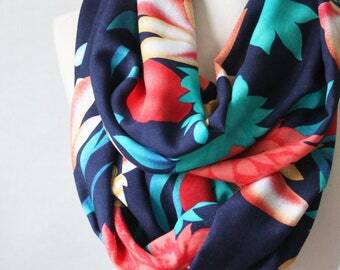 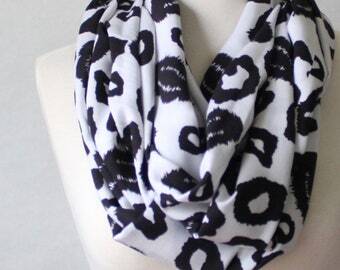 This scarf is made of soft cotton jersey and will dress up any solid color shirt in your wardrobe. 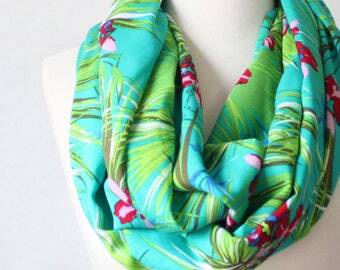 The scarf is a 70" circle measuring 9" wide (18" circumference).